Our Charity Trustees govern the charity and ensure that we meet charitable purpose, they also ensure that grants are given wisely and equitably. Like many charities, we are audited each year, and the trustees over see that too. Like most charities we incur costs in the process of what we do. 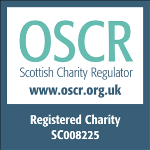 These costs are kept to a minimum but they are necessary to ensure we have the appropriate infrastructure and governance in place to operate in accordance with OSCR guidance and charitable law. Details of our charity expenditure (as well as our income) is included in our annual accounts. The annual accounts includes the Report of the Trustees which outlines our charity's activities and governance, an Independent Auditors' Report and provides a financial overview. Our highlight report has information on how money is raised and spent to enhance patient care in the Borders. The Fundraising Guarantee is a positive statement about our values, culture and practices, you can view it here.